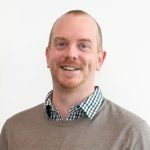 Dr Daniel Gough is Head of the STAT Cancer Biology research group in Hudson Institute’s Centre for Cancer Research and a Chief Investigator for the Paediatric Precision Medicine Program. A biochemist and cancer biologist, Dr Gough’s research focuses on signal transduction pathways, which engage the Signal Transducer and Activator of Transcription (STAT) proteins in normal development, and how these pathways are altered in childhood cancers. After completing his BSc (2000) and BSc (Hons) (2001) in the Department of Pathology at the University of Melbourne, and PhD (2006) at the Peter MacCallum Cancer Centre, Dr Gough moved to New York University in the USA for postdoctoral training with Professor David E Levy (Dr Louis A. Schneider Professor of Molecular Pathology and Professor of Microbiology, and Associate Dean for Collaborative Science). During this time Dr Gough defined a mitochondrial and metabolic role for STAT3, which is necessary for cancers driven by Ras mutation. In 2012, Dr Gough was recruited to return to Australia to start his laboratory where he and his team use protein chemistry, molecular biology, animal models and human tissue to identify actionable alterations in cell signalling networks that drive cancers. Gough DJ, Marié IJ, Lobry C, Aifantis I, Levy DE (2014) STAT3 supports experimental K-RasG12D-induced murine myeloproliferative neoplasms dependent on serine phosphorylation. Blood 124:2252-2261. Gough DJ, Koetz L, Levy DE (2013) The MEK-ERK pathway is necessary for serine phosphorylation of mitochondrial STAT3 and Ras-mediated transformation. PLoS One 8:e83395. Gough DJ, Messina NL, Clarke CJP, Johnstone RW, Levy DE (2012) Constitutive type I interferon modulates homeostatic balance through tonic signaling. Immunity 36:166-174. Gough DJ, Messina NL, Gould JA, Hertzog PJ, Sabapathy K, Trapani JA, Levy DE, Clarke CJP, Johnstone RW (2010) Functional crosstalk between type I and II interferon through the regulated expression of STAT1. PLoS Biol 8:e1000361. Gough DJ, Corlett A, Schesslinger K, Wegrzyn J, Larner AC, Levy DE (2009) Mitochondrial STAT3 supports Ras-dependent oncogenic transformation. Science 324:1713-1716. Gough DJ, Sabapathy K, Ko EY, Arthur HA, Schreiber RD, Trapani JA, Clarke CJ, Johnstone RW (2007) A novel c-Jun-dependent signal transduction pathway necessary for the transcriptional activation of interferon gamma response genes. J Biol Chem 282:938-946.